For decades, Victor Perles has concentrated on selling his pearls directly from his farm to buyers that purchase in large quantity. 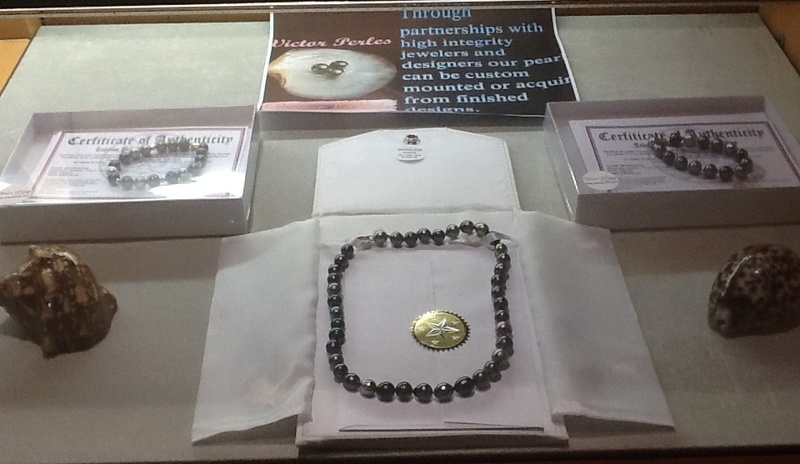 In 2012, Victor Perles decided to venture and create his own consumer branding with the help of his associate partners, Tiare Ventures SARL and HICA Ventures International LLC. 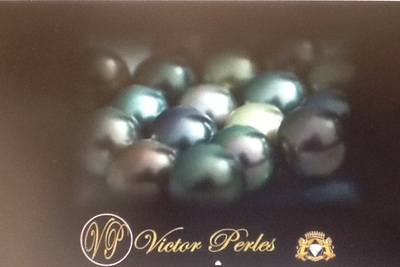 Today, Victor Perles has expanded to have his own atelier and create his own mounting and brand his Rikitea Pearls directly to consumers. In his collections, you will find pearl necklaces, bracelets, pendants and earrings. 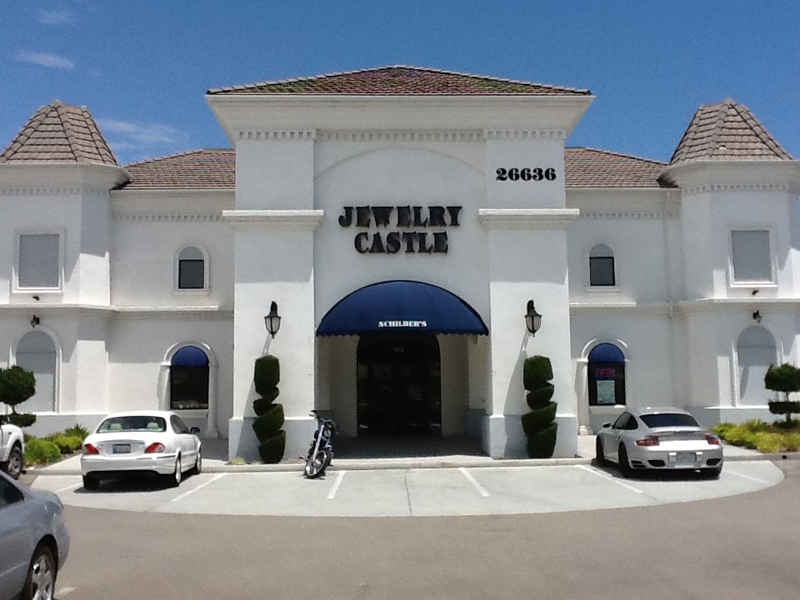 Shop his selection exclusively at Schilber's Jewelry Castle in Murrieta. 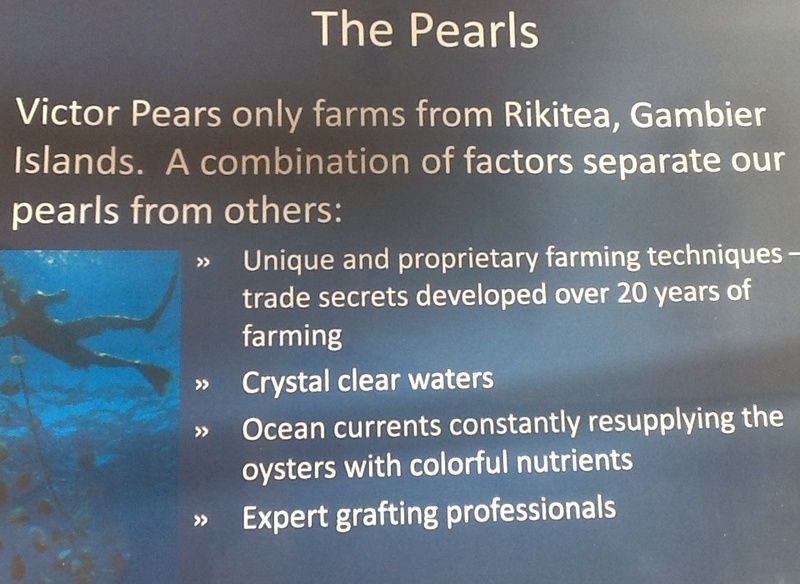 Pearl farming or pearl culture has two phases: nacriculture (the cultivation of pearl-bearing oysters) and grafting. Nacriculture begins during the hot season from November to April. The pearl farmers set up the collectors (also called ‘parasols’) which are made from strips of cloth like awnings hanging from a network of ropes across the lagoons. The collectors are there to encourage the attachment of the planktonic larvae, which have come from the reproduction of the parent molluscs in natural surroundings. A ‘station’ is a rope on which the collectors are fixed at regular intervals. As collecting is not possible in all the atolls, the pearl-bearing oysters are often transferred from their collection spot to the atolls where they will be grafted. 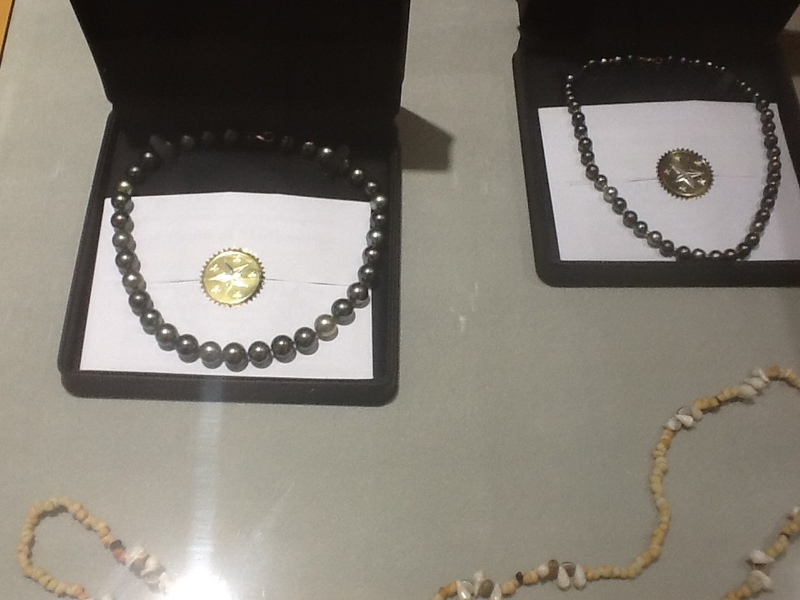 After six months, the pearl farmer starts the operation called ‘détroquage’, which consists of detaching the young oysters, now called ‘naissains,’ from the collectors. These young oysters will be pierced on one side near to the hinge, and hung by a nylon thread from ropes called ‘chapelets’ (‘rosaries’ or ‘garlands’). These garlands will carry between 10 and 20 oysters and will be hung from a network of ropes at between 8 and 10 meters depth. The oysters will be regularly cleaned until they reach 10 cm wide, at about 24-36 months old. 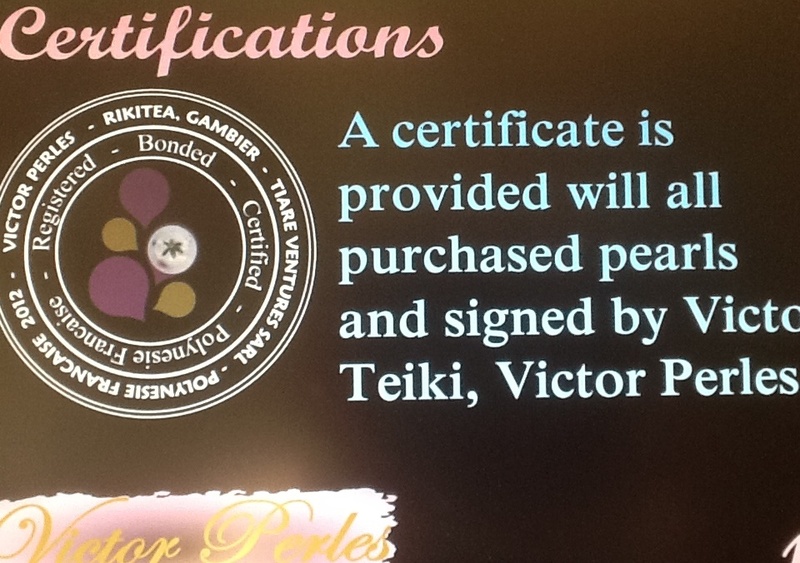 They will then be ready to be grafted. 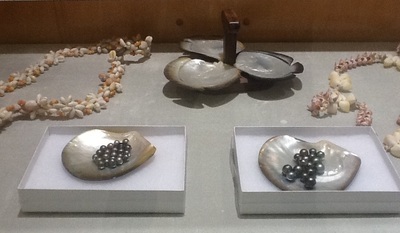 Grafting consists of inserting into the oyster a graft and a foreign body in order to make a pearl. This operation requires a suitable area of sea-water, a donor oyster, a receiving oyster, a nucleus (a white bead usually obtained from a freshwater bivalve of the Mississippi, the legumia recta. 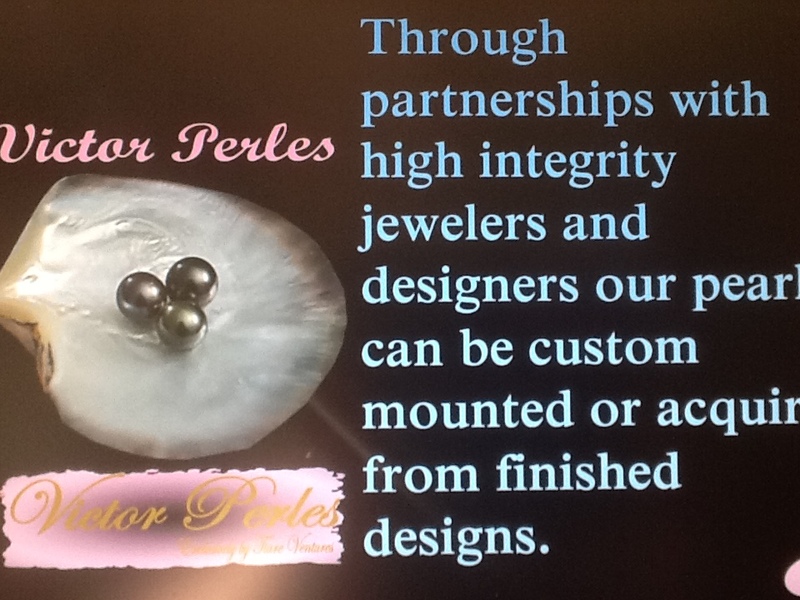 The size of the nucleus will determine the size of the future pearl), and an expert grafter. 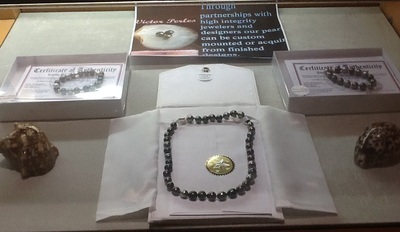 - A small fragment or section is cut from the mantle of a donor oyster, this is the graft. - The right size of nucleus is chosen. - A receiving oyster is placed on the bench, kept slightly open by means of a piece of wood wedged in near the abductor muscle. 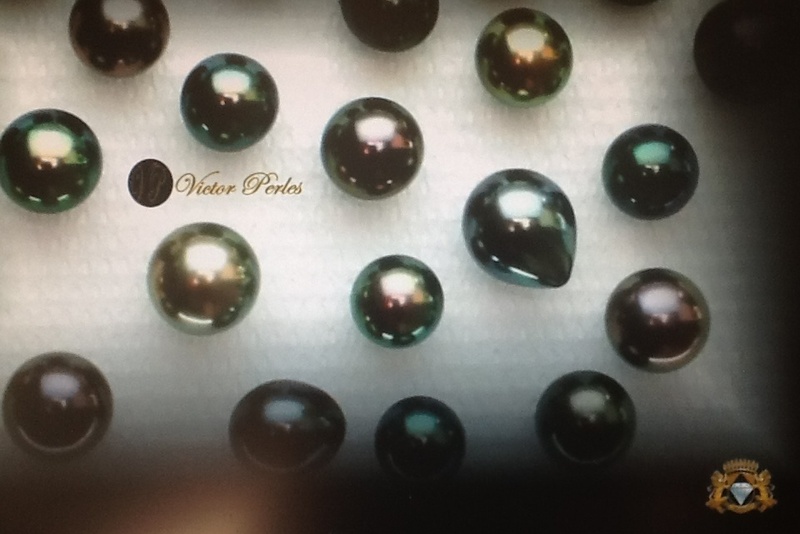 - The pearl sac, which is situated at the end of the animal’s gonad, is incised and the graft and the nucleus are inserted. – The gonad is anaesthetized to activate healing. - The piece of wood is removed and the grafted oyster is placed in a tank of sea water. After 40 days, the grafts will be checked to discover the percentage of success. 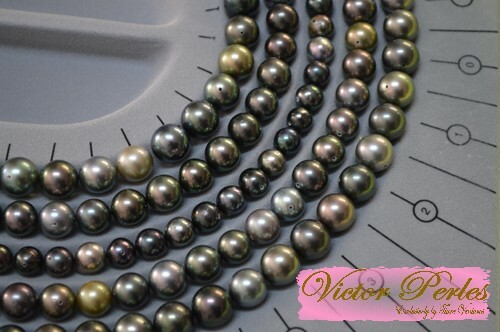 The grafted pearl-bearing oysters will remain submerged in the lagoon for about eighteen months, in order to allow the secretion of a layer of pearl which, by regulation, must be of a minimal thickness of 0.8 mm. 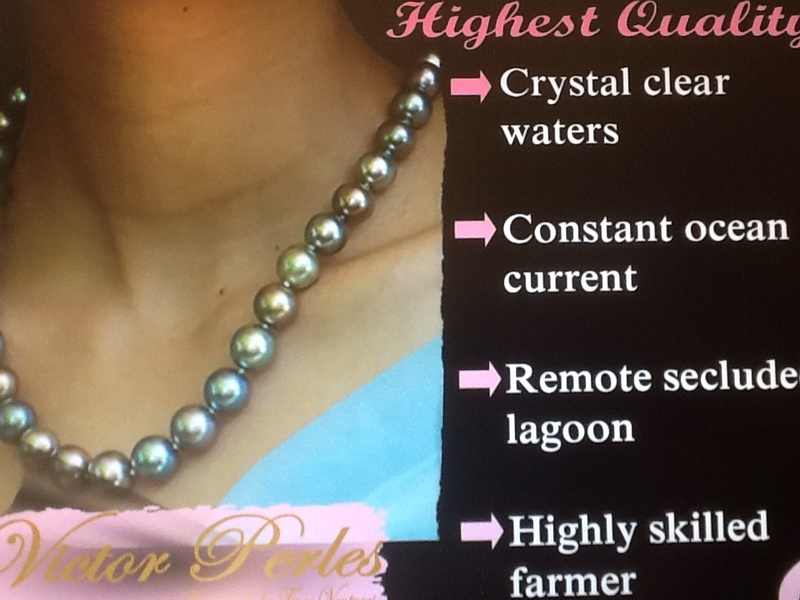 Throughout this period, the pearl farmer will regularly lift the oysters from the lines to remove parasites from their shells and facilitate the secretion of nacre. The harvest is the final stage of the process, which consists of extracting the cultured pearl from the pearl sac. Their gowns gleam like the shining lagoons of the Polynesian atolls, their shape and their curves express the sensuality of a woman’s body. 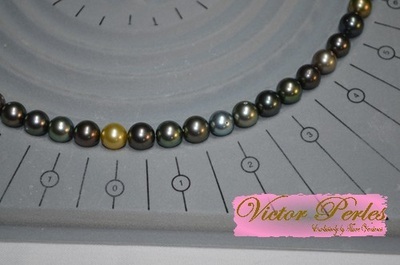 Born of the South Seas, Tahitian Cultured Pearls have all the color, charm, form and subtle variation you could dream of. 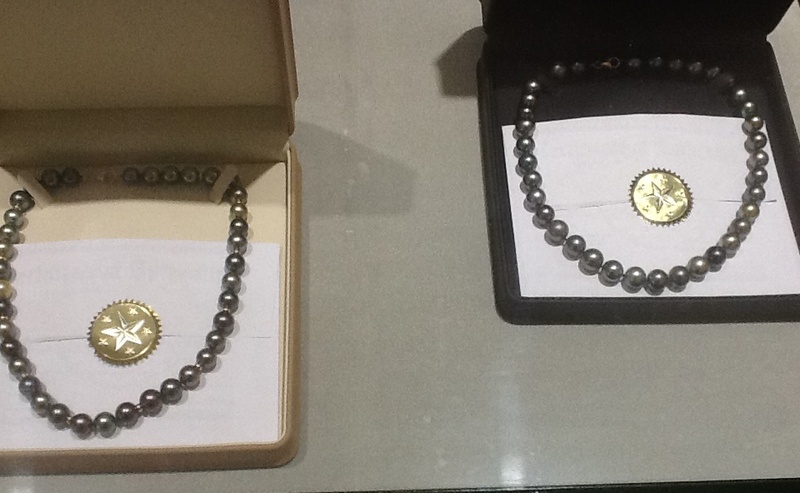 Symbols of purity and elegance, they enchant everyone who sets eyes on them. It’s easy to surrender to their charm… but sometimes it’s very hard only to choose one. To choose your pearl, above all trust your heart… And if you still hesitate, consider the criteria such as size, shape, quality of surface, shine or color, which may help you to choose your very own pearl. Shape Tahitian pearls exhibit a great number of shapes, usually divided in six categories : round/semi-round, oval/button, drop, circled, semi-baroque and baroque. 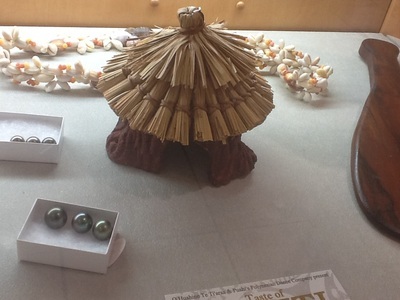 While round pearls have long been buyers’ favorites, other categories attract more and more designers who draw their inspiration from the pearl’s original yet natural shapes, to create unique pieces of jewelry. Color Although they are commonly called black pearls, Tahitian pearls offer a wide range of colors. In their natural state they show a palette of infinite, unique shades : cherry, cream, peacock, green, blue, gray, white… Choice in this matter is above all a matter of personal taste! 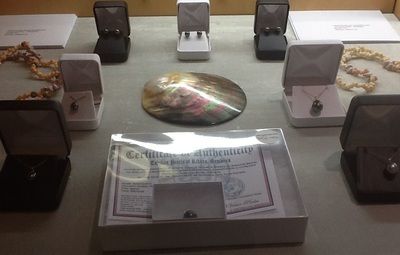 Taking care of your pearl Once removed from its shell, the Tahitian pearl requires tender loving care. 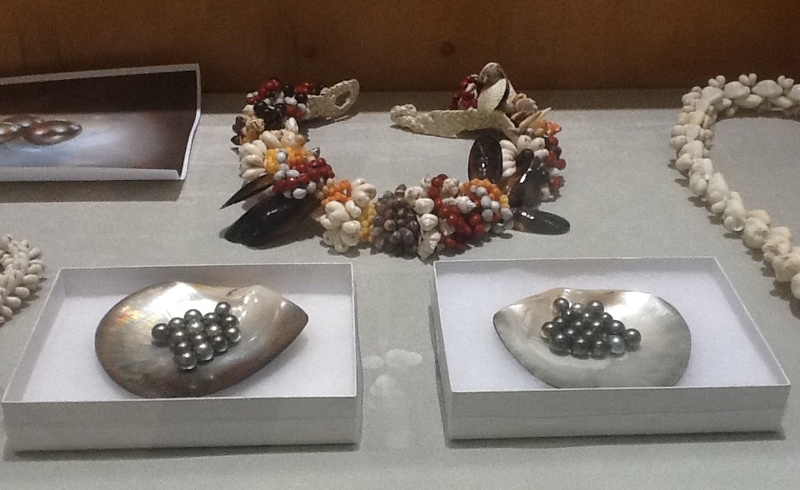 The pearl of Tahiti is a gem that re-hydrates on skin contact, so wearing it often is essential. Any acid aggression can be fatal. 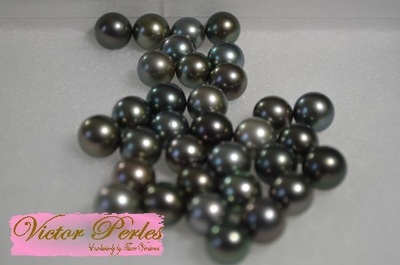 Its main enemies are chlorinated water, perfume or hairspray… The Tahitian pearl should be wiped regular with a soft cloth. For all the reasons why Rikitea, Gambier Pearls have the highest value than the traditional Tahitian Black Pearl exceeding more than 25% its value in cost. 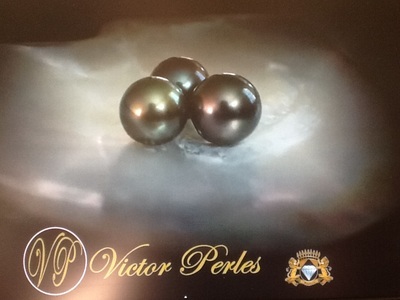 Victor Perles (Pearls) is owned privately by Victor TEIKI and his family. 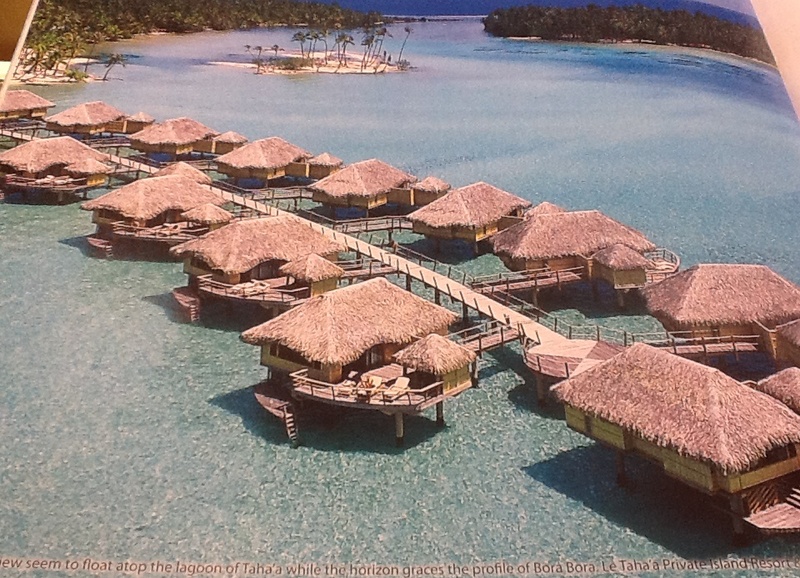 The Pearl farm is located on the island of Rikitea, Gambier in French Polynesia. 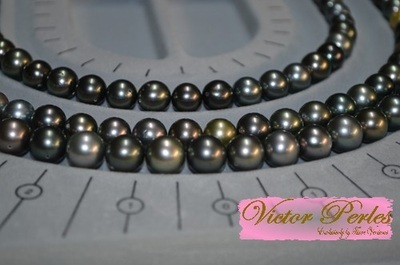 Pearls from this island are known to produce the most brilliant luster Tahitian Black Pearls. All lands in these waters are privately owned and protected, only a few farm producers are able to cultivate these exquisite pearls and provide limited supply to the market and industry making these Pearls highly valuable from availability to quality. The Pearls are magnificently prepared with 4 different categories and 2 different size brackets. 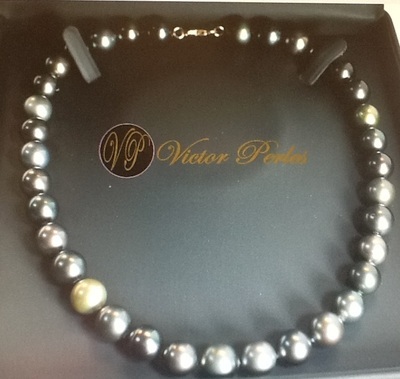 Victor Perles' farm have grafted Pearls with an inventory of 3 years in advance which is making our Pearls availability quite significant and large enough to accommodate our direct consumers, wholesalers and distributors. 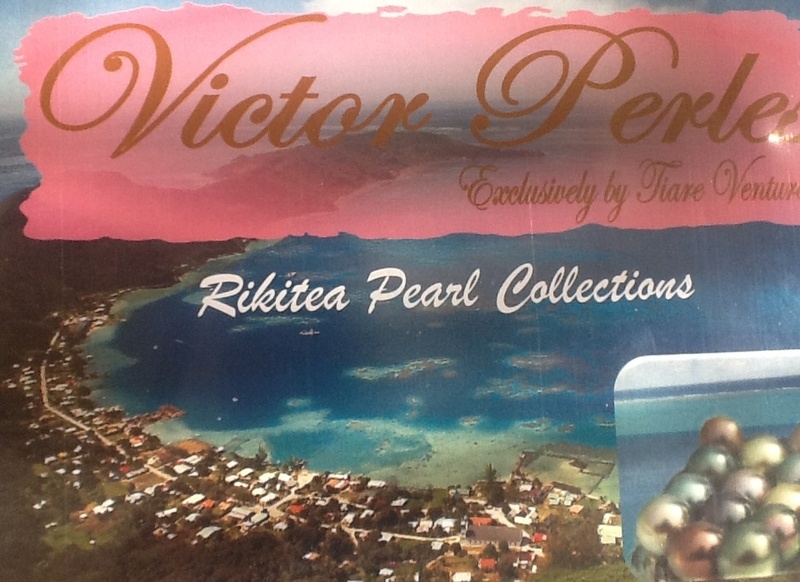 By offering these exquisite pearls directly from the Pearl Farm of Rikitea, a new form of renaissance and value will open this market where not only the distributor and wholesaler receive direct cost saving from Victor Perles' farm but also create a new era to offer Tahitian Pearls directly from the farm of Rikitea, Gambier to you, the consumer. 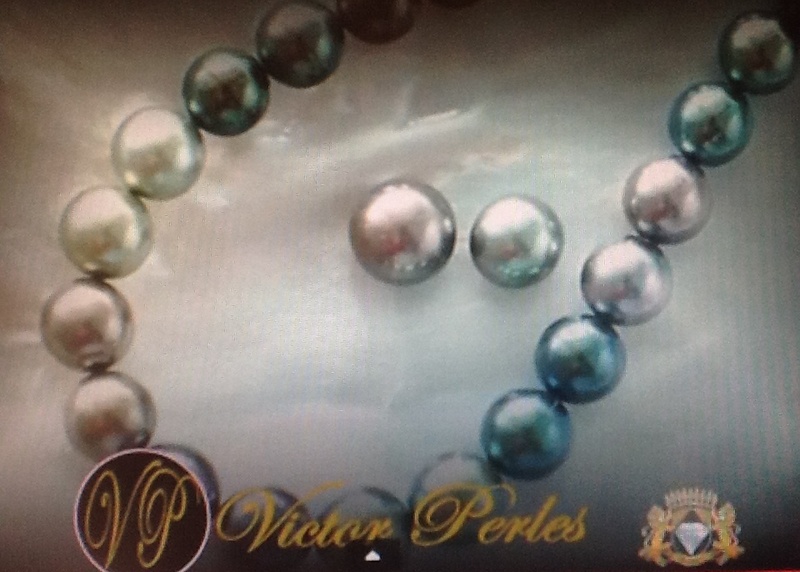 For many years, these quality and exquisite Pearls were only available to a handful of clients but with Victor Perles, we will be able to provide you a new choice. 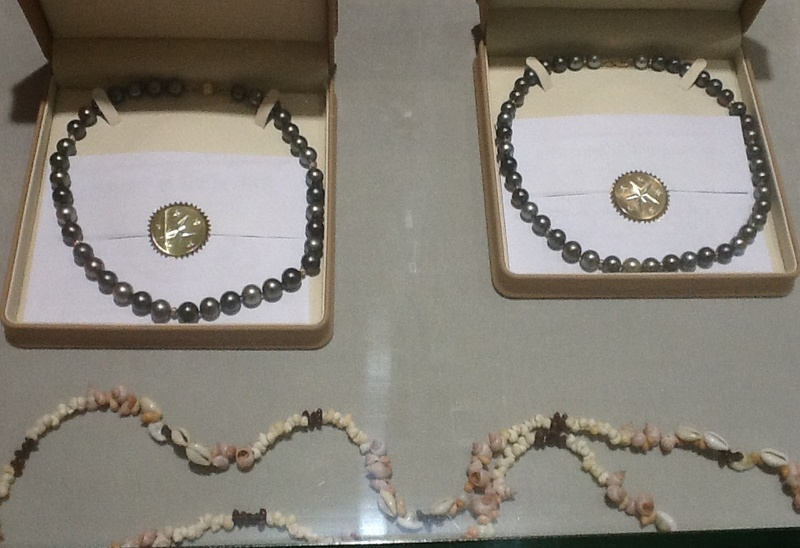 Pearls from Rikitea, Gambier have higher value than the traditional black pearls from other island waters of French Polynesia which are valued at 25% more in cost.